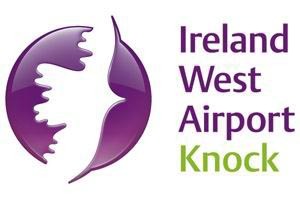 To rent a car at Knock Airport or anywhere else in Ireland – you will need a valid current driving licence and a credit card. Passports are usually required for ID purposes. Age restrictions apply and if you are under 25 yrs of age or over 70 yrs, you will need to check availability. Ensure you provide details of any additional drivers that will be driving. Most rental cars have manual transmission so ask about automatics well in advance. Reserve your car as early as possible to ensure you get the car you want at a reasonable price. Value added tax (VAT) will be charged on all car hire fees. Also you should take note of any airport, fuel, refueling or other charges mentioned . Third party insurance is compulsory and will be included in the rental rate. This however only covers you for other people’s injury and damage to their vehicle. Rental companies will normally also offer to provide: Collision Damage Waiver (CDW), which limits your financial liability for damage to the rented vehicle. Rentals are subject to a liability excess. (Purchasing additional cover can offset this excess). Visitors, who wish to claim CDW coverage using a credit card facility (e.g US MasterCard Gold or Platinum), are advised to provide documentary evidence confirming the cover for their trip to Ireland. You should note that CDW conditions may have exclusions (windscreen, tyres) Theft Loss covers, which limits your financial liability for loss or theft of the rented vehicle. Personal Accident Insurance, which covers the driver for personal injuries. Inspect the vehicle carefully on collection by walking all the way round it looking for any signs of damage. Check the spare wheel and the tools. Make sure that any damage is noted in full on the rental agreement before you sign it. Allow plenty of time, particularly at busy rental sites, when checking the vehicle on return. Make sure that the vehicle is inspected by the rental company and that you both agree, note and sign for any damage on all copies of the rental agreement. The rental company expects you to take good care of their vehicle. You will be liable for damage to the vehicle arising from misuse, off road driving or other acts of negligence which are regarded as breach of contract. These charges will include loss of income arising from a vehicle not being available for renting. This also applies to the theft of or from the vehicle.